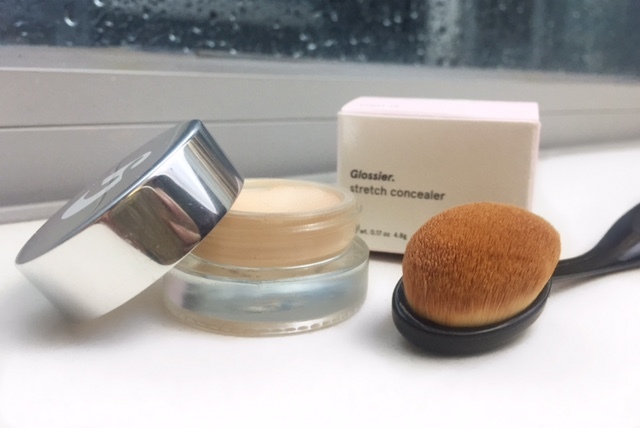 Today I want to introduce you to the end-all be-all for concealers: Glossier Stretch Concealer. This concealer is.. the bomb. Yes, I just used a 90s term on purpose. 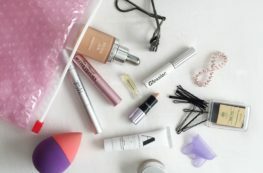 Glossier is the newest 80s/9os retro chic minimalist beauty brand, founded by badass entrepreneur Emily Weiss of Into the Gloss. (Here’s a recent interview with her that I drooled over). Their tagline? Skincare first, makeup second. That being said, this concealer should be your first choice. Glossier makes everything easy. From skincare to makeup, they’ve narrowed it down to the best possible products in the least number of options. In other words: Glossier makes beauty a no-brainer. 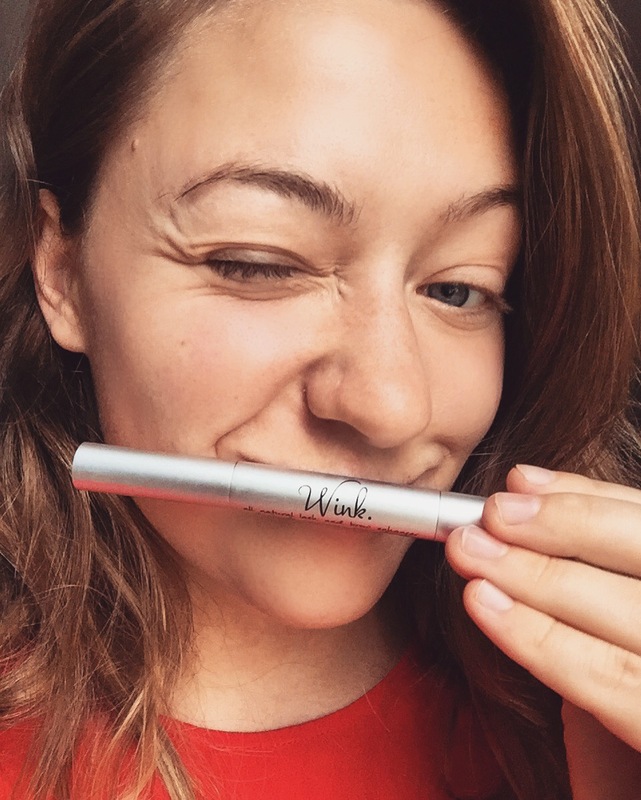 As the editor of Into the Gloss, one of the top beauty blogs in the game (if not the #1 beauty blog), Weiss had the opportunity to test and try every beauty product known to woman, with a preference for the high-end. She was able to pick and choose what she liked, what worked, what didn’t. Glossier is literally the culmination of a decade of top beauty blogging, to the tactile end product. The product lives up to it’s description. 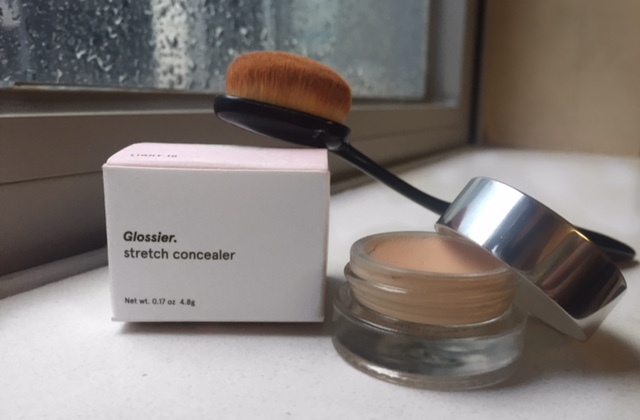 The first time I tried stretch concealer, I was immediately impressed. 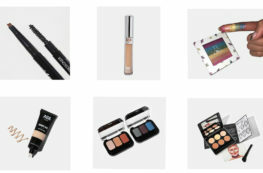 Most concealers that I love–Benefit’s Booing, Stila’s Stay All Day Concealer–are very highly pigmented concealers. They definitely get the job done. But getting the job done and getting it done right are not the same thing. 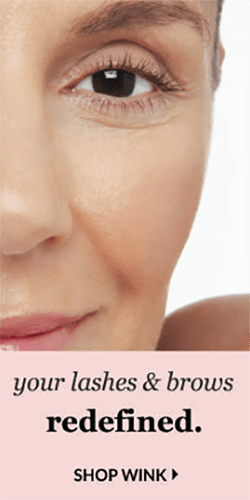 Stretch Concealer does what others can’t: it is highly pigmented, glides on smoothly, and most importantly: doesn’t look flat or sink into fine lines. 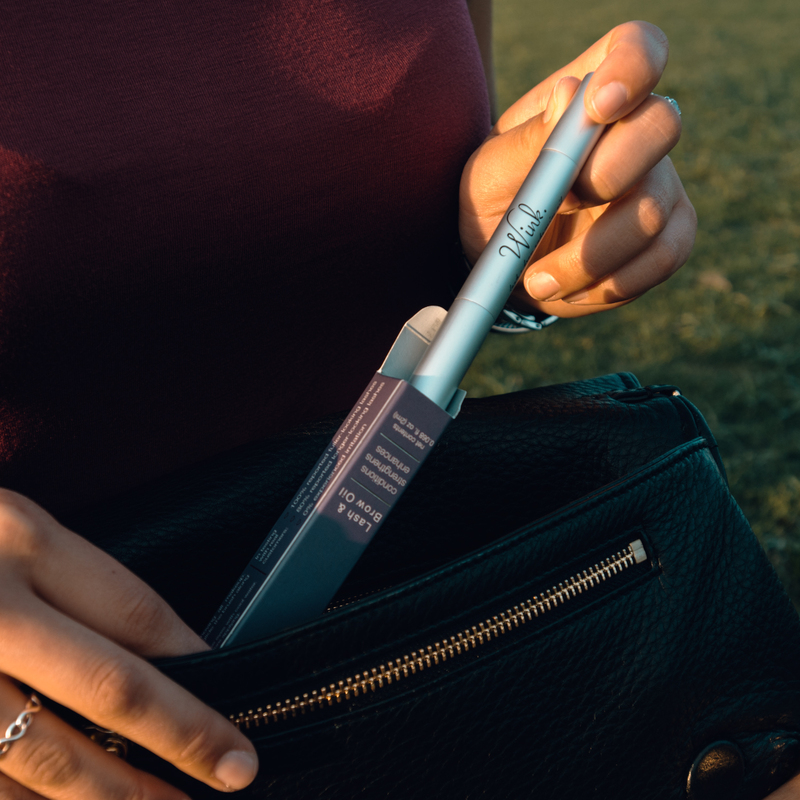 It lives up to its promise, by offering complete coverage without the 2-dimensional flatness that most concealers give your skin. In fact, I can safely say that Stretch Concealer is safe to wear on it’s own–that is, if it matches your skin tone. With only 5 shades to choose from, the odds are not in your favor, but the shade “Light 10” was closer to my skin than any other concealers have been before. A concealer should be a shade lighter than your foundation color. 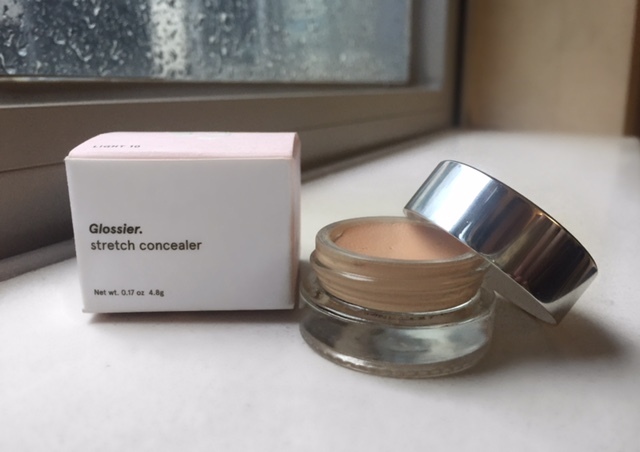 My foundation–which is a powder compact–applies seamlessly over this concealer. Now wait a second–most people will tell you to apply concealer after foundation to cover up blemishes, right? Yes, they do. I am here to tell you today that Glossier is switching up the game. Apply your concealer first, then foundation on top. This concealer won’t smudge or budge, even with the additional abrasion of a foundation sponge / brush / whatever you use on top of it. It’s perfect. As for how to apply Stretch Concealer, the best way to apply any concealer is with a concealer brush, right? That’s how I have been applying concealer for the past 3 years, until last week when I was too busy/lazy to do it right. That’s how inventions are born anyway, right? You know those oval brushes that have been all over Instagram? Yeah they are hella expensive and nobody in their right mind would pay $150+ for a set of brushes. I’m not about to push that. Thankfully, because they are so popular, they’re getting copied everywhere, quickly. Naturally, I was curious, but cheap. So when I saw a cheap oval brush, I finally picked one up for 10 RMB (that’s ~$1.70) at a store called “Nature Green” here in China. One morning last week I was in a rush and didn’t want to use my fingers or concealer brush to apply concealer; one option is messy, the other is time consuming. So I grabbed the tiny oval brush, dipped the head in the concealer, and started applying it by softly brushing in small circles on my face. Anything I talk about on the blog, I’ve tried at least 3 times. This method? I’ve used it every day since my “discovery”. It works. If you happen to see these oval brushes in your neighborhood store, pick one up, because they really are game changing for liquid and gel products. I like mine better than I could ever love a beauty blender or even my ungodly expensive Sephora brush set. 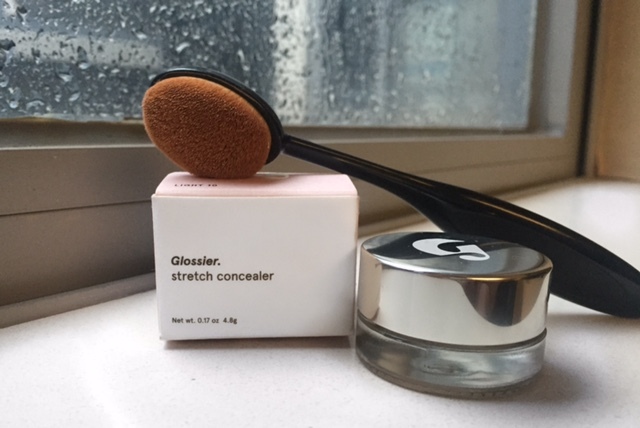 As for Glossier’s Stretch Concealer, it is worth it’s weight in gold. If coverage is part of your game plan, I highly suggest ordering one from the Glossier site today. I’ll put the concealer and a cheap brush + cheap brush kit below, so that you can have at it. Nice post, very interesting, thank you, but sara is right: http://cosmetic.stream has great stuff about concealer review too… but your style is definitely better! Your review convinced me to buy some for myself! What colour did you go for? I can’t decide between light and medium. It depends on what color range you fall within normally. I was nervous the first time because I had no idea! I bought the light; I’m always within the 3-5 lightest shades of any makeup line. Usually the shades I pick up have some form of the word “light” or “fair” in the name. “Naturally, I was curious, but cheap.” Dude are you my soulmate or what. OR WHAT. Anyways… I’m so gonna get that brush! I’ve always loooove that concealer for the ease but honestly I do struggle a bit with coverage.